A meeting between President Donald Trump and Kim Jong Un (KJU), the Supreme Leader of the People’s Democratic Republic of Korea (DPRK), can be a success even if it fails to achieve President Trump’s announced goal: an end to the DPRK nuclear weapons program. This meeting starts by giving KJU one of his long-sought goals. It will, in effect, be more than a meeting. It will be a “summit” and will confer on KJU the status of the leader of a legitimate government. President Trump would be wise to redefine success. He should not fall into the trap of saying that success will be defined by a “denuclearization agreement.” While that should be a long-term goal, it will not happen at this meeting. Still, the summit will be successful if it produces a process that can lead to a substantial reduction of tension on the Korean Peninsula. This is not to say that an agreement on denuclearization is off the table. Rather, it is to rec­ognize that these talks could present a framework for negotiation that would be very valuable, even if they will fall short of a nuclear disarmament accord. To understand the difficulty of reaching a nuclear arms agreement, we need only look at the way the two leaders speak about denuclearization. Each appears to define it differently. President Trump applies the term to nuclear weapons in the DPRK. KJU speaks of it as applying to the entire Korean Peninsula. He will argue that, if he must allow a mean­ingful verification regime, so must U.S. forces in South Korea. U.S. policy traditionally has been to refuse to confirm or deny the presence of nuclear weapons at any U.S. military facility or on board any U.S. Navy ship. KJU will use this refusal to acknowledge the presence of nuclear weapons at U.S. military facilities in South Korea to argue that the United States should pull all U.S. troops out of South Korea. President Trump should also understand that China does not necessarily share his goals for these talks, at least not the President’s near-term goals. China’s role in the region parallels that of the United States. 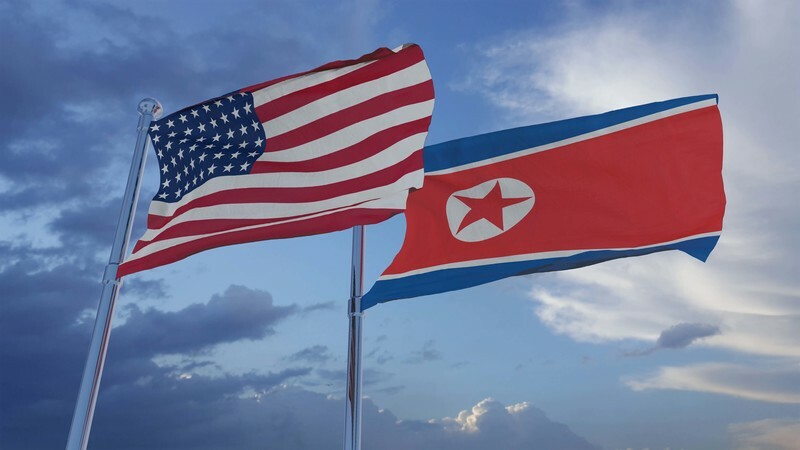 Whereas U.S. support to the Republic of Korea (ROK) has been important to its stability and economic growth, Chinese support to the DPRK has always been crucial to its survival. In 1950, economically devastated from winning its own civil war, China sent almost 300,000 troops to keep the United States from totally defeating North Korean forces. China continues to be a lifeline for the DPRK by providing it with both fuel oil and a market for its exports. In fact, Chinese President Xi Jinping’s long-term goal is fully consistent with Kim Jong Un’s goal. While KJU wants to push U.S. forces off of the Korean Peninsula, Xi wants to push the United States out of East Asia. In this context, when President Xi tells President Trump that his talks with Supreme Leader Kim went well, we should not assume that Xi was telling Trump that KJU is on the verge of accepting U.S. demands. Rather, we suspect that their coordinated positions are aligned with each other rather than with the goals of the United States. It is difficult to imagine that President Trump will agree to withdraw U.S. troops from South Korea, even in exchange for the verifiable end to the DPRK’s missile and nuclear weapons programs. Moreover, other U.S. allies in the region are not ready for such a move. Certainly, other stakeholders in Northeast Asia do not want the United States to abandon them. Moon Jae-in, the President of the ROK, wants the United States to ease tensions with the DPRK. However, notwithstanding his desire for peace and reconciliation with the North, he has never spoken of the removal of U.S. forces from South Korea. Moreover, the DPRK has repeatedly threatened Japan, has kidnapped Japanese citizens and has demanded retribu­tion for the decades of Japanese colonization of Korea. The Japanese government does not want the U.S. military to draw down its forces in South Korea. Thus, it is difficult to foresee a breakthrough on nuclear weapons. That does not mean that the Trump-Kim summit will be a failure. It will succeed if it leads to an accommodation between North and South that had, heretofore, been impossible. (Neither KJU nor his father, Kim Jong Il, nor his grandfather, Kim Il Sung, ever accepted the right of the ROK to exist as a separate nation; they always claimed that they were the rightful leaders of all Koreans. They never agreed to a peace treaty to end the Korean War.) Such an accommodation can start with a formal end to the Korean War and full diplomatic relations between North and South Korea. It could even result in diplomatic relations between the United States and the DPRK. Finalizing a peace agreement and establishing diplomatic relations would not be as flashy as a nuclear-arms deal. But it would be the start of a process that could lead to a reduction in tensions and limits on missile tests. Over time, that process might even lead to an agreement through which the DPRK would agree to halt the production of fissile material. We should not expect this summit to result in an immediate breakthrough. It would be more reasonable to hope that this summit can lead to a situation in which the two Koreas can find a modus vivendi, a way to live alongside each other without the constant threat of war.